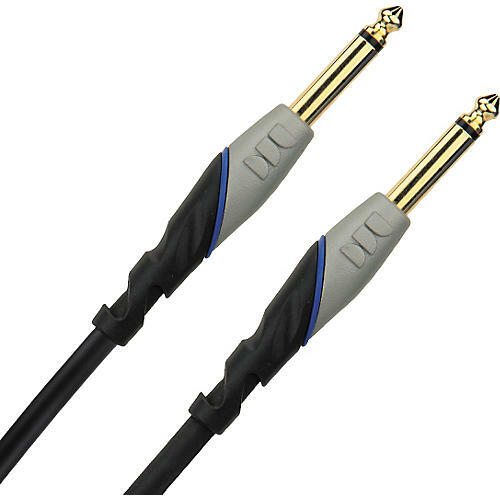 Monster Cable Performer 500 Instrument Cable 3 ft. Balanced design for accurate frequency response and wide dynamic range. 95% coverage copper-braided shield rejects RFI and EMI for a lower noise floor and increased resolution. IsoTec vibration technology further reduces handling noise. Extra-flexible Duraflex outer jacket for superior reliability and cut resistance. Interchangeable, color "O" ring (available in blue, red, green, and yellow) attaches to each connector for customized identification. Heavy duty molded connector design that increases durability and resists damage. 24k gold-plated contact terminals for maximum conductivity and corrosion resistance. Lifetime guarantee.